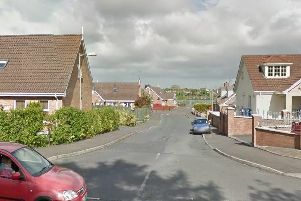 Police are hunting for three men and a ‘big orange lorry’ after a spate of burglaries in the Portadown area in the last few days. The PSNI said one of theburglaries had ‘quite a distinctive lead thanks to an alert member of the public’. Last night (Thursday) three men were disturbed while carrying out a burglary in the Timakeel Manor area. It is understood the incident happened at around 8.30pm. A PSNI spokesperson said: “All three were believed to be wearing hoodies with southern accents and made off over a back fence towards Keelmount where they got into what is described as a “Big orange lorry”. “If you spotted a lorry parked up in Keelmount and noticed anything specific about the people in it, or what direction it went, or were in the area around that time and have dash cam footage, please check it and call on 101 us with any information you have. The incident number is 1227 of 18/01/18.